While some brands are just getting their feet wet when it comes to content marketing, others have been using content for ages, and have shown that they are masters of it. 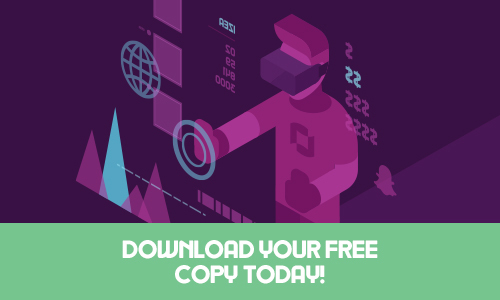 Take a look at some of the top content marketing brands and see what ideas you can borrow a page from their playbook. Google “American Express and content marketing” and you get back a lot of hits describing how the credit card company is the “gold standard” of content marketing brands, or is a “shining example” of a brand that uses content marketing. For a decade now, the brand has had its Open Forum, a blog and website dedicated to small businesses. According to Fast Company, it had reached one million monthly visitors by 2010, and had more than 10,000 small businesses signed up for its directory. Open Forum does well because it gives small businesses a place to go for advice and help, as well as to sound off. AdAge has wondered if Domino’s Pizza is the “next big tech giant,” thanks to its commitment to using tech to better serve its customers. According to AdAge, around half of the pizza company’s sales are through digital channels and social media channels these days. It’s truly one of the top content marketing brands. With clever content marketing concepts such as a Wedding Registry (you know, for couples who really love pizza), Domino’s has jumped on the content marketing wagon hard, and it’s paid off for the brand. Their success shows that if you commit to an idea and aren’t afraid to be a little out there, you’ll succeed. 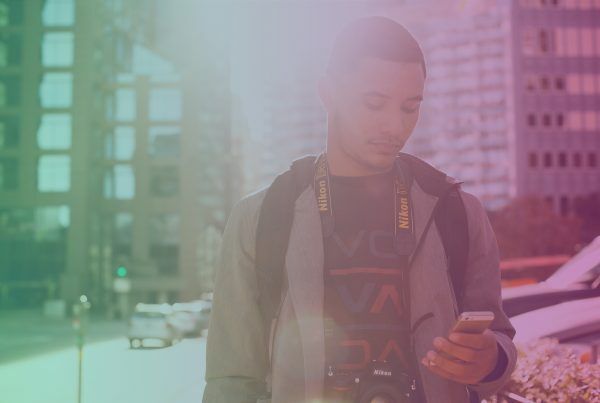 Cisco, a tech conglomerate that sells networking hardware, might not sound like the most exciting company — but it’s one of the top content marketing brands to add some jazz and pizzazz to its message. For its technology news site, it’s created My Networked Life, a series of videos showcasing how professionals around the world are using technology. It also has a series of blogs that give readers helpful tips and information. Cisco also uses social media to great success. When launching a new router, the brand was able to reduce its marketing costs by more than $100,000 because of the use of social media to promote the new product. 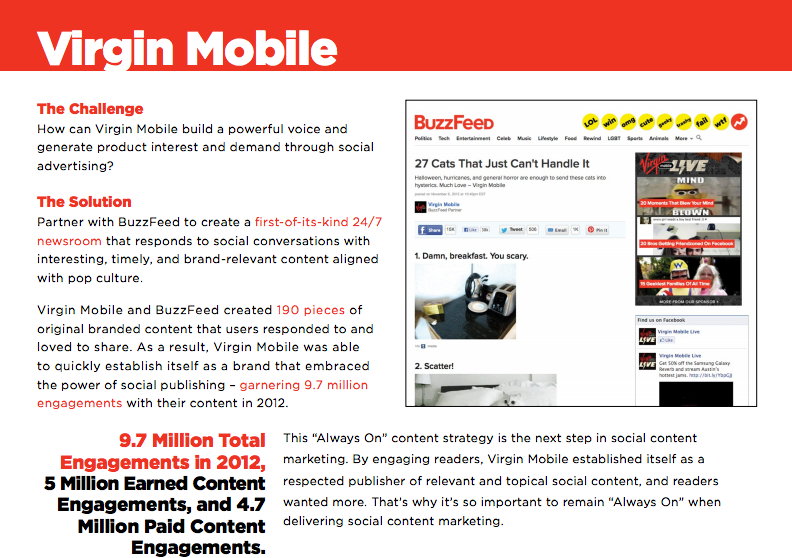 Virgin Mobile was an early adopter of content marketing, according to Forbes.com. 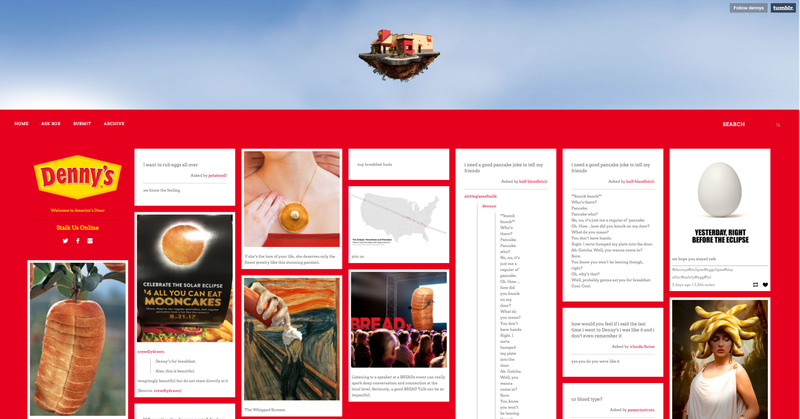 As one of the top content marketing brands, it created Virgin Mobile Live, a newsroom that shared and published content several times a day, every day. Virgin also worked with Buzzfeed, creating nearly 200 pieces of content on the site and leading to more than nine million total engagements. Virgin’s success shows that, sometimes, quantity matters. Publishing a lot, and frequently, helped establish it as a go-to source of information with its audience. You wouldn’t think a nearly 200-year-old French luxury brand, known for its covetable, super expensive leather handbags, would have much need for content marketing — or much interest in it. But that’s where Hermes proves you wrong. One of the world’s top content marketing brands, it was the fastest growing company in its industry in 2013, according to Forbes.com. Sure, demand for its Birkins and Kelly bags might have something to do with that, but it’s much more likely that the brand’s content — such as its beautiful videos that provide information about its products and the creation process behind them — also played a part. 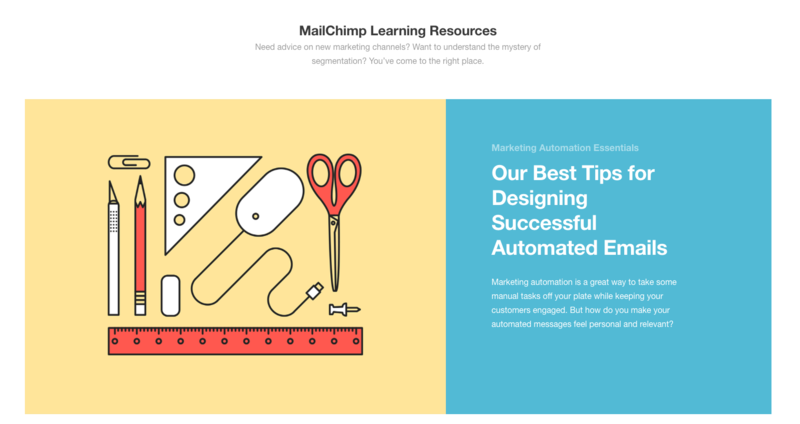 Email marketing service MailChimp is hands-down one of the top content marketing brands. Whether it’s a campaign featuring Tumblrs for all the “variations” on the brand’s name (example: MaleCrimp), a learning resource hub, or a blog giving people an inside look at the company, MailChimp shows that giving your customers what they need — and having fun in the process — is key to success with content marketing. Diner chain Denny’s has been experiencing a bit of a turn around lately. 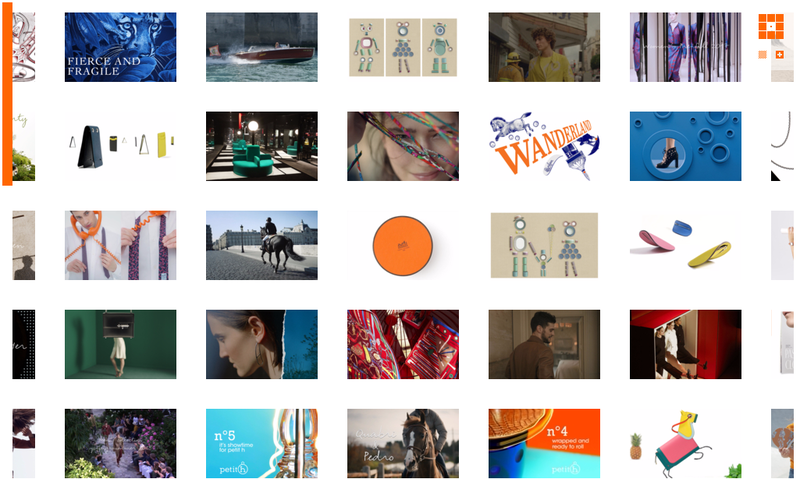 That turn around can in some ways be connected to the fact that it’s one of the most stellar content marketing brands. Denny’s has clearly decided to target a younger generation — Gen. Z, as they’re now called (aka teenagers). 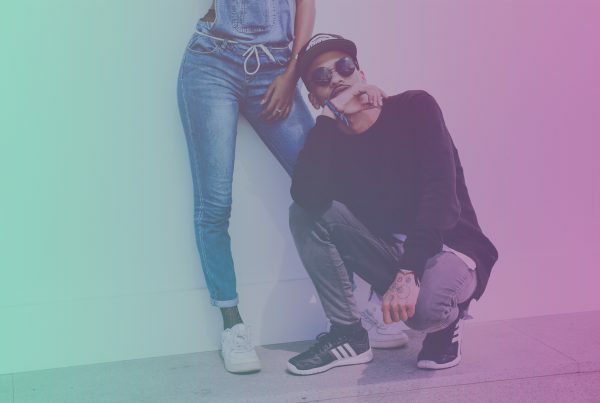 The brand has one of the weirdest Tumblrs around, as well as a very active Twitter feed. 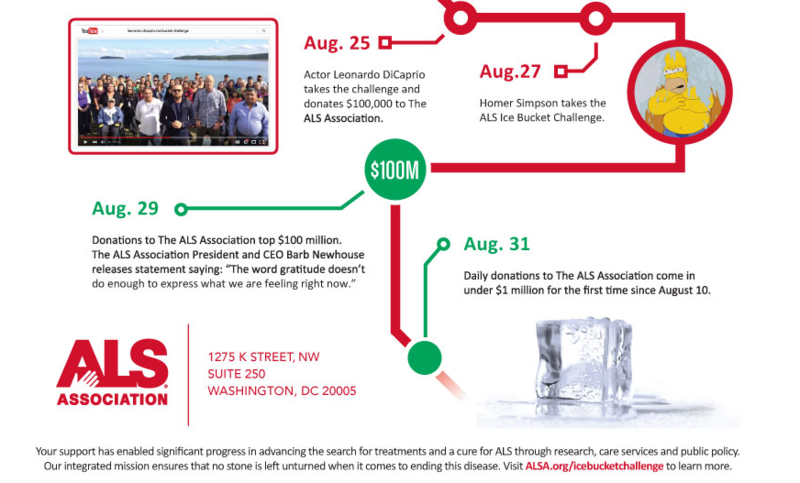 The ALS Association’s Ice Bucket Challenge, which featured people dumping buckets of ice water over themselves in an effort to raise awareness for amyotrophic lateral sclerosis, or Lou Gehrig’s disease, was a great example of the success of user-generated content. The campaign made more people aware of ALS, and raised money for the organization, cementing it as one of the top content marketing brands. Years later, the effects are still being felt. For example, the FDA recently approved the first new drug to help treat ALS in more than 20 years. Part of the appeal of ridesharing services is their convenience, but also the fact that using them lets customers connect with other people. 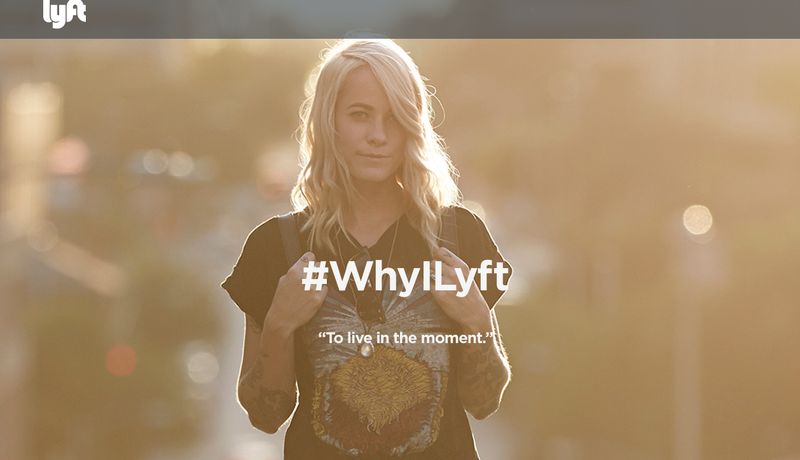 Rideshare app Lyft is one of the world’s top content marketing brands and capitalized on that by creating the #WhyILyft hashtag. With the hashtag, both people who use Lyft for rides and people who drive for the company can share their stories and tell the world why they use it. User-generated content creates higher levels of engagement because it turns the mic back on the people who want to engage with the brand. It also helps other customers see the value of a brand, through the point of view of other customers. You might not expect a hotel chain to put together a 35-minute film, but that’s exactly what Marriott did with its movie “Two Bellmen Three.” The video and the other content created by Marriott is part of its commitment to becoming the go-to publisher for travel-related content and information, as AdWeek reported. GE straddles both the B2B and B2C worlds, meaning it has more of a challenge facing it when it comes to content marketing — it needs to produce content that will appeal to a typical consumer and to brands. With its popular podcast (which topped iTunes charts in 2015), blog and content hub, and video channel, GE has shown that it’s more than up to the task. 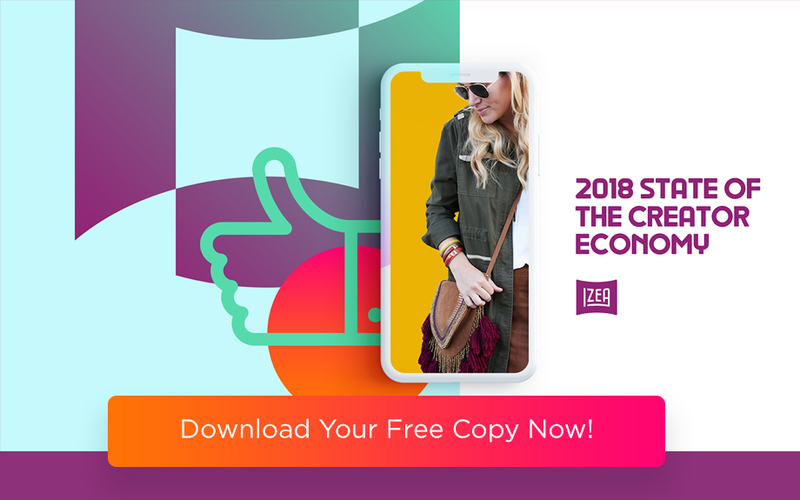 GE’s content marketing success shows that using a variety of methods and messages will help you connect with your customers, whether they’re in the consumer or business space. 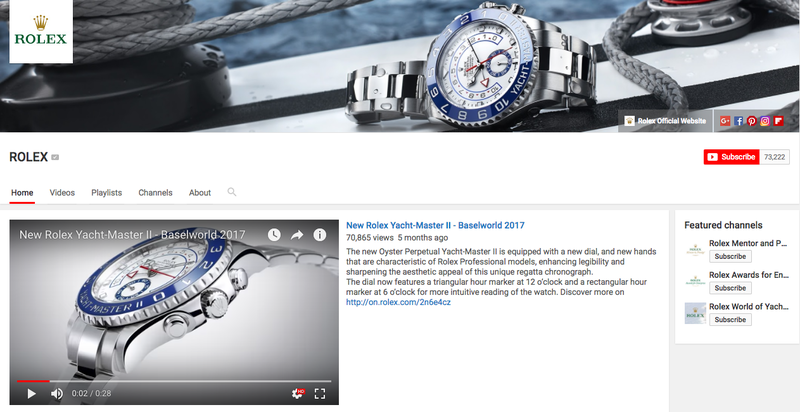 Rolex is another swanky, old luxury brand that’s done well with content marketing. 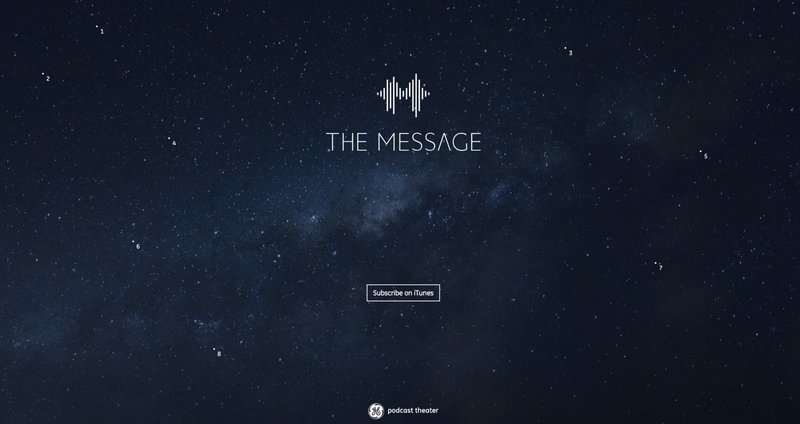 The brand does well with its marketing by creating a consistent voice. While other brands have shown that being weird works, Rolex takes the opposite approach. It comes off as tasteful and refined on its Facebook page and YouTube channel. Discount retailer WalMart recently showed that giving creative control over content and partnering with big names (such as Seth Rogen) is one way to make an impact with content marketing. 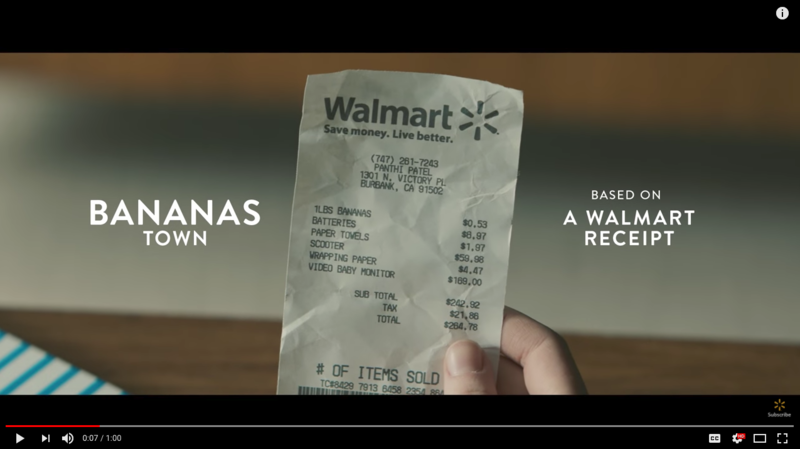 The brand had Hollywood creatives make short videos based on a six-item WalMart receipt. Although the receipts were the same, the videos created were very different. Here’s exhibit A, exhibit B, and exhibit C.
One way to nail content marketing is to focus on what your customer wants. That’s exactly what Whole Foods Market does. 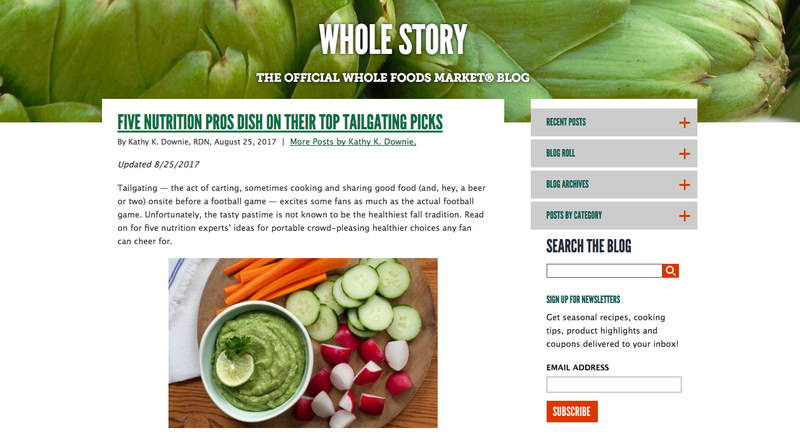 The organic and natural foods retailer’s blog “The Whole Story” gives people an inside look at some of the brands for sale at Whole Foods, as well as tasty recipes and information on supplements and small changes to make for a healthier life. As people begin to drink less soda, brands like Coca-Cola have faced challenges in terms of retaining customers and keeping sales up. 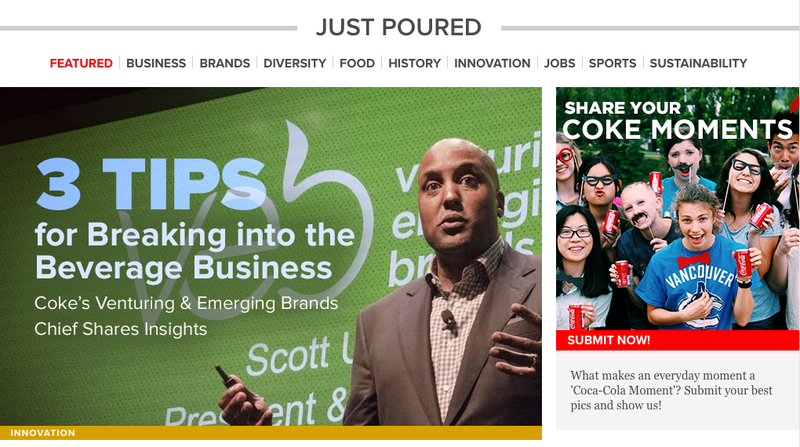 Coke has shown itself to be particularly good at content marketing, creating an online magazine and going all in with a marketing mission known as Content 2020. Simply put, Coke knows that it needs to produce the best and most engaging content if it wants to continue to connect with its customers. 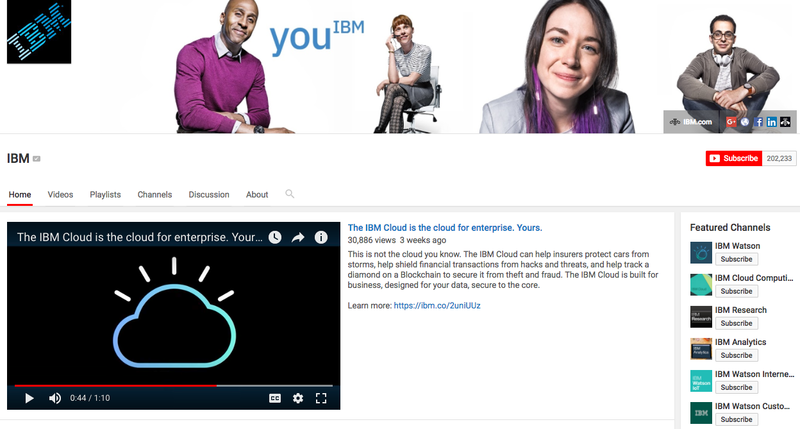 Like a few other brands, IBM has decided to take a multi-pronged approach to content marketing, creating a range of different types of content, such as a blog, resource centers, and videos. Its efforts have paid off, as IBM is regularly cited as an excellent example of a brand using content marketing to the max. How do you connect with people who love books? Give them access to more books. That’s what Random House has done. Its website was recently redesigned to become a book-discovery tool, according to Digital Book World. The publishing company also uses Medium to publish content of interest to book lovers, and to aggregate content from others. 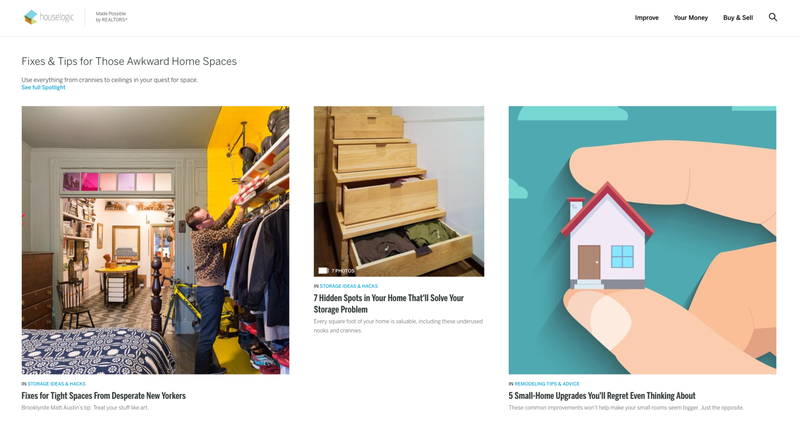 The National Association of Realtors is behind HouseLogic, an online magazine that’s full of tips for homeowners on everything from decorating a house to selling a home. Although there’s some text at the top of the HouseLogic home page pointing out that it comes from Realtors.com, the exact connection between the two isn’t obvious. That shows that giving your customers useful information is more important than being directly promotional with your content. LinkedIn could have been resigned to its status as a social site that’s not as big or cool as Facebook, but it took a different tactic. It’s platform is for professionals and businesses, and it’s making a point to show that off. One way it’s doing that is through its Marketing Solutions arm, which offers tips to businesses who want to reach a B2B audience through content on LinkedIn. 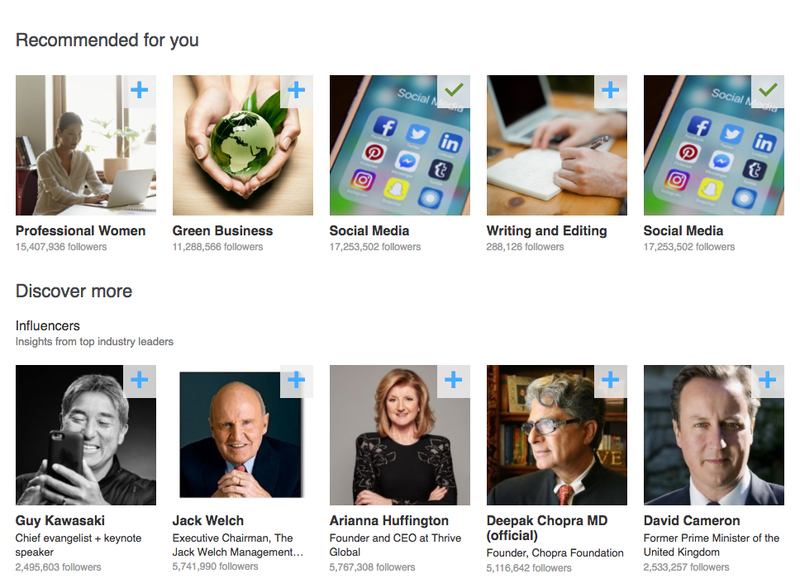 Along with offering original content, LinkedIn also has Pulse, which curates content for its users, and delivers that content right to their homepage. According to AdAge, about 2 percent of food videos on YouTube mention Taco Bell. So it makes sense that the brand would capitalize on that by producing its own YouTube videos, a series known as Taco Tales. Many of the videos have been popular, receiving more than one million views each. Taco Bell’s success shows that you can take what works and improve it to make it work even better for your brand. 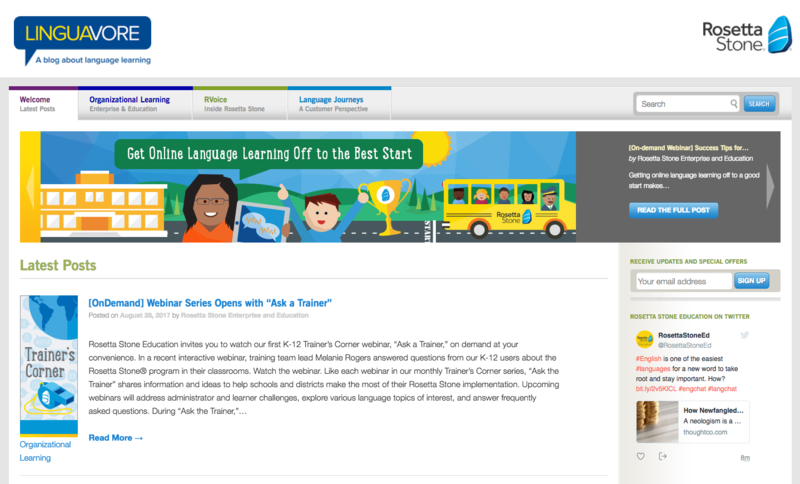 Language learning app Rosetta Stone knows that different types of content appeal to different audiences. That’s why it has White Papers for Business, which focuses on the business benefits of learning a language, as well as Linguavore, a language-learning blog that focuses on a consumer audience. AllState uses both written content and video content to help out its customers. Its video content is carefully curated into playlists on its YouTube channel, allowing people to easily find what they need. 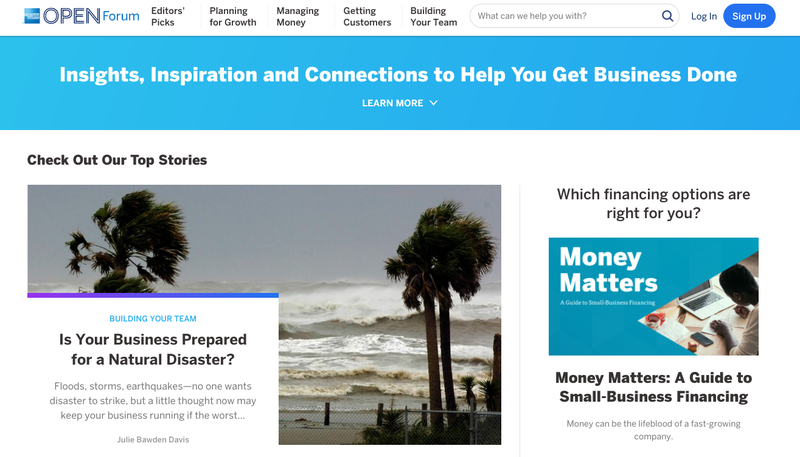 A content hub on the insurance company’s website puts articles and blog posts right at users’ fingertips. Cheerios is more than three quarters of a century old, but it’s still the top-selling cereal in the US, according to AdWeek. It’s use of content marketing probably has something to do with that, along with its ability to craft a message that appeals to a variety of audiences. 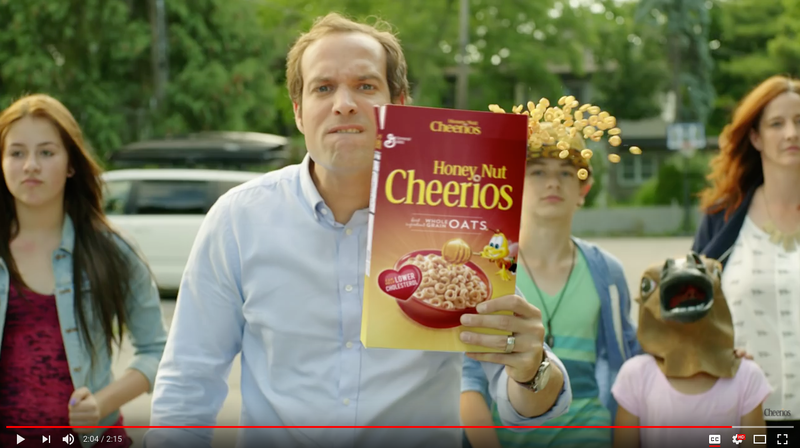 Here’s a video promoting the wholesome goodness of Cheerios, and here’s another one that showcases what it’s like to be a dad in the modern world. Intuit is another brand that’s done well with content marketing, and that has been able to connect with both a consumer and a business audience through different channels. The brand is behind Mint, a budgeting app, and behind QuickBooks, a bookkeeping program for businesses. 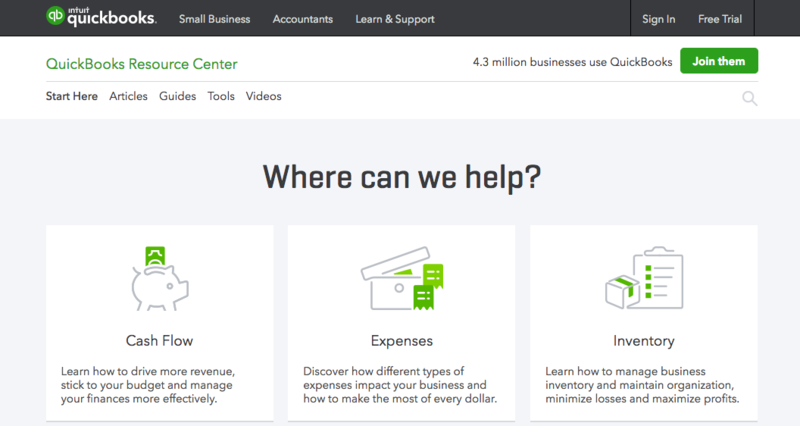 Each of its products has its own blog or resource center (MintLife and the QuickBooks Resource Center), which contain advice and useful information designed specifically for the target audience. Unfortunately you still can’t buy Chanel clothing online. But as one of the world’s top content marketing brands, its digital content marketing footprint is huge. Inside Chanel takes you behind the scenes at the brand. It shows you the history of the company and its most famous products. 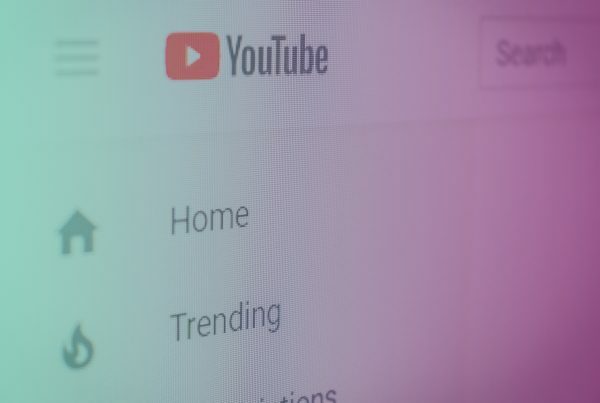 Over on YouTube, Chanel has more subscribers than any other high-end luxury brand (according to Digiday). That’s thanks to the range of videos it produces, from makeup tutorials to odes to the label’s top products.